All B2 & Belsoie styles are available in junior sizes. 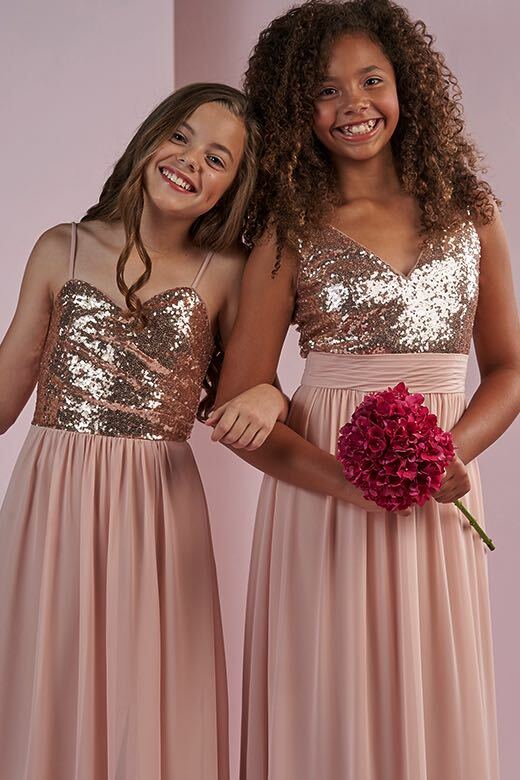 Jasmine Bridesmaid styles are only available in junior sizes from Spring 2018 and forward. Skirt length can be changed to tea-length or knee-length.